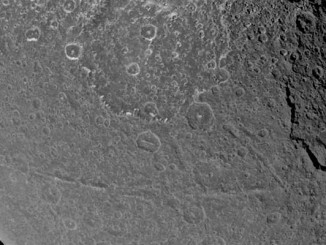 A decade ago, the Cassini probe made a New Year’s Eve close approach to Saturn’s moon Iapetus and captured astonishing views of its remarkable surface. Do you feel that your current decor is a little drab? 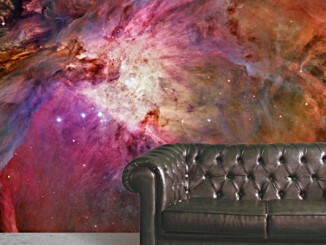 If so, give you room an out-of-this-world makeover with an astronomically-themed wallpaper mural! 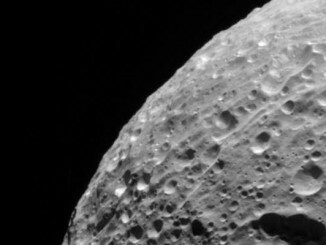 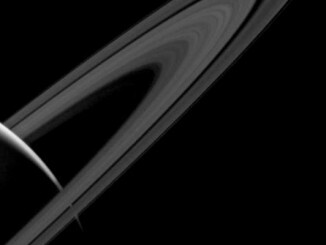 This image from the Cassini probe of Saturn’s moon Mimas shows the scars of numerous impacts near the north pole. 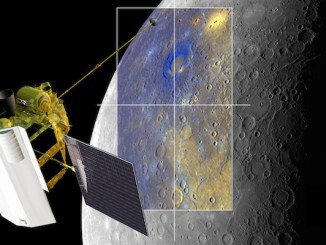 Running low on fuel after completing the first global survey of Mercury, NASA’s MESSENGER spacecraft could get an extra month of time at the solar system’s innermost planet thanks to a crafty new way of using helium gas to temporarily forestall the mission’s end next year. 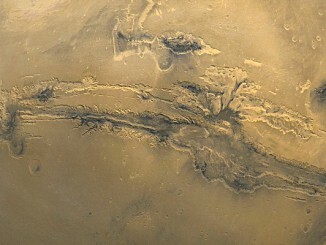 Recovered from an Antarctic ice field exactly 30 years ago, a 4 billion-year-old Martian meteorite named ALH84001 reveals a detailed record of the Red Planet’s climate, back when water likely washed across its surface. 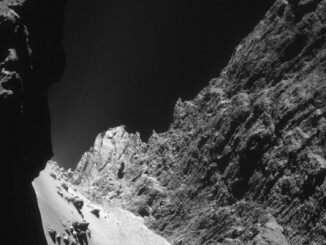 Optimistic Europe’s hibernating Philae comet lander can be revived, mission controllers plan to try and contact the spacecraft as soon as January as the search narrows for the probe’s final resting place — a site within arm’s reach of pristine ice and organic matter ripe for analysis if the mission gets a new lease on life. 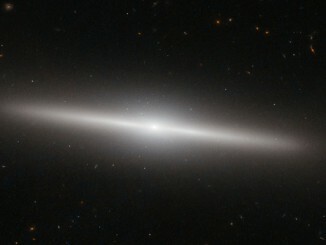 Located in the Fornax Galaxy Cluster some 60 million light-years from Earth, IC 335 is an edge-on lenticular system — an intermediate state in galaxy morphological classification schemes between true spiral and elliptical galaxies. 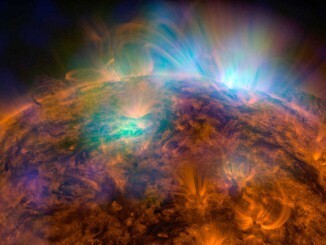 Designed to study black holes, supernova remnants and other extreme objects beyond our Solar System, NASA’s Nuclear Spectroscopic Telescope Array (NuSTAR) has captured the most sensitive portrait of the Sun ever taken in high-energy X-rays.